Keratoconus is a condition of the cornea, the clear part at the front of the eye, which causes it to become softer and thinner than those of normal eyes. Under the influence of the internal eye pressure, the cornea then changes shape. As the cornea is the main part of the eye that focuses light, this shape change distorts the image that forms on the retina, at the back of the eye, even if you are wearing glasses. The picture shows more advanced keratoconus, where this shape change is obvious, even to the naked eye, In mild to moderate keratoconus, this sort of shape change is not easily seen but it still causes issues with focusing light. Keratoconus can start as early as 9 years of age but usually in the early 20s. It is usually active (as in: progress or get worse) for up to 10 years after which it tends to stabilise. Contact lenses are used to restore a better shape/focus. Most people with keratoconus have to rely on contact lenses to regain functional vision. Up until recently it was the only way to manage the condition. Corneal Collagen Cross Linking (CXL) has now brought hope to keratoconics as this is the only surgical intervention that has show that the progression of keratoconus can be halted. I have just been diagnosed – what should I do? 1) Your vision has been gradually deteriorating, and it has proved difficult to improve it with glasses. 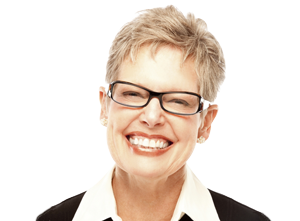 You may have had to change your glasses frequently yet still have issues with vision, glare and multiple images. Your eye care professional has now identified that keratoconus is the cause, has confirmed that glasses will no longer help and has explained that you will only be able to get good vision with contact lenses. The condition is already causing you issues and you now have to do something about it as soon as possible in order to get your life back on track. 2) You have visited a laser clinic to be assessed for refractive surgery. During the assessment, you have been told that you have keratoconus, or a sub-clinical form of the condition and they advise against surgery. In this situation, it is probably unlikely that keratoconus is affecting your vision yet. Laser clinics pre screen patients using topography, (which maps the surface of the cornea). Very early cases of keratoconus can be detected with this method and we simply do not know for sure whether all these will progress or not, as this sort of screening has not been available until recently. As it is entirely possible that you may have never known you had the condition, if you had not gone for refractive surgery, you do not need to rush into anything straight away. Take time to come to terms with the condition and seek more information, other opinions, about the best course of action. Why can’t I just get stronger glasses? Keratoconus causes distortion of the cornea on both front and back surfaces. The cornea acts to focus light to form an image at the back of the eye so any distortion at the front will make this image blurred. Glasses are designed to work with a regular corneal shape. They cannot be modified to take account of the corneal distortions. To understand what happens, look at the images below of various forms of keratoconus. Although corneal shape changes significantly from normal in each case, much of the irregular shape changes are on the back of the cornea. The position of the area of thinning determines what kind of keratoconus you have and how you see in glasses/contact lenses. The more central the thinned area, the more it distorts light going through your pupil to the back of your eye. This sort of keratoconus will reduce/affect vision in glasses very early on in the development of the condition and even mild cases of keratoconus can affect your vision significantly. PMD occurs when the thinnest area is very low – close to the limbal area (where the cornea joins the white of the eye (sclera). It can be hard to determine when exactly a very low cone becomes PMD. In either case, the central vision is less affected and often reasonable vision through glasses can be obtained even in fairly advanced cases. This is sometimes why this kind of keratoconus is not detected early. However, patients with low cones often have worse ghosting and doubling of images looking through glasses, due to the shape of the cornea. This type of keratoconus results in an overall stretching/thinning of the cornea. This is now so unlike a normal cornea, that focussing light accurately onto the back of the eye is almost impossible. Traditionally, the only way Keratoconus has been managed in the past is in the use of contact lenses. Contact lenses form a new, stable, regular optical surface which then allows proper focussing of light onto the back of the eye. This has traditionally been achieved using Rigid Gas Permeable contact lenses (RGPs). Normal contact lenses, such as disposables, can help in cases of low cones, where central distortion is not too bad, but tend to be of little use for central keratoconus. Contact lenses only help when they are being worn. If you have to wear them all waking hours, then tolerance to wear becomes an issue for some people. People without keratoconus can swap to glasses if their lenses are irritating them or if they lose or damage them. People with keratoconus cannot do that, so work and driving becomes an issue if lenses cannot be worn all the time. These are small, hard lenses made out of plastic that is permeable to oxygen. They mask the underlying distortion and function as the new refractive surface of the eye. In some cases, wearers may find comfort an issue, especially if they have to be worn all waking hours. Do RGP lenses stop the progression of keratoconus? No. It was once thought that RGPs “pushed back” or “retarded” the cone. However, although some “reshaping” of the cornea may take place, it will return to its original shape once RGP wear is discontinued. In early/mild cases and for low cones, regular soft lenses can still give very good vision. You do not automatically have to resort to RGP lenses if you have keratoconus. If you can see as well as you want to in soft lenses and are happy with them, then continue as you are until the situation changes. Once the condition progresses to a certain point, specialist soft lenses, are then required to cope with the higher levels of distortion.These cannot mask distortion in the same way as an RGP lens, as they drape over the cornea with no underlying tear “pool”. Some soft lens types are made as thick as possible to attempt to mask distortion. 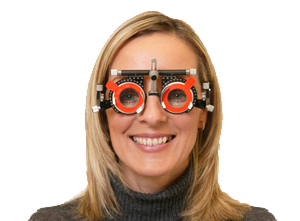 These can have the disadvantage of lower wear times due to restriction of oxygen flow through the lens. Other lenses, such as the KeraSoft IC, are specifically designed to make the cornea much more regular. These convert the irregular corneal astigmatism caused by keratoconus to regular astigmatism. These lenses are closer to regular soft contact lenses in thickness. The advantage of soft lenses is that they can be worn comfortably all day and virtually eliminate the issue of dust finding its way under the lens, This is very useful in dusty conditions. Alternatively there is the ClearKone® hybrid contact lenses offer all the benefits of rigid gas permeable (RGP) and soft contact lenses without any of the disadvantages for an overall GREAT contact lens experience. These include, large RGPs (semi limbals piggy backing (wearing an RGP on top of a soft lens) and sclerals (a very large lens that covers most of the white of the eye as well). This procedure was developed in the 1990s and is fast becoming a real option to halt the progression of keratoconus. It involves a one time application of Riboflavin to the cornea and then irradiating the cornea with UltraViolet light (UV). This creates a chemical reaction within the cornea which results in a strengthening of the collagen fibres which supply its structural strength. This procedure will not return the cornea to its original condition and vision but it has been show to stop progression and to make contact lens fitting easier. 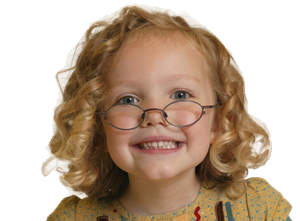 There is also evidence to show that uncorrected or glasses vision can improve by 2 or 3 lines over a period of 2-3 years. This procedure is often combined with other surgical procedures as it effectively stabilises the cornea. These are thin plastic, semi-circular rings inserted into the mid layer of the cornea. When inserted into a cornea affected by keratoconus, they change the shape and location of the cone. They remodel and reinforce the cornea, eliminating some or all of the irregularities caused by keratoconus in order to provide improved vision. This procedure can improve uncorrected vision, however, depending on the severity of the KC, glasses or contact lenses may still be needed for functional vision. It is now often combined with CXL. These are artificial powered lenses that are implanted into the eye either behind or just in front of the iris. If you have significant refractive error due to keratoconus, this will restore much of your vision but will still not address the irregular shape of the cornea. Again, both these procedures require CXL as well to make them worthwhile. Keratoconus makes the cornea unstable and so it is likely refraction will continue to change after implant surgery if CXL is not performed. Generally, as long as you can reach the legal requirements of your country for vision whilst driving, you are fine. If you can only attain this when wearing contact lenses, you are advised to inform the relevant authority who will simply note that you have to be wearing contact lenses in order to drive. Some people have trouble, even with their contact lenses, driving at night as still they suffer from haloes and ghosting – especially facing oncoming traffic on unlit roads. If this is the case, then it is better not to drive at night. Will I pass this on to my children? Research is increasingly showing that keratoconus has some genetic components. Twins often have keratoconus and it does run in families. On the other hand, you may be the only person in many generations that has it. However, to offset this, it is possible that one of your ancestors may have had keratoconus but it was not diagnosed – it is more commonly recognised nowadays than in the past. So yes, it is possible but there is no current test to check if you can pass it on. My eyes feel itchy and sore all the time. Is it OK to rub them? NO! Many people with keratoconus also suffer from allergic conditions and have dry eyes. This all leads to discomfort which makes you want to rub. However, rubbing your eyes will lead to further damage – in fact some people think that excessive rubbing may even be part of the cause of the keratoconus. So do NOT rub. Use cold compresses or just firmly press the eye, without actual rubbing. I am having difficulty at work. How can I explain this to them? Or to my family for that matter! You will find many people saying to you “Why can’t you just wear glasses?”, especially if you are having problems with contact lenses. 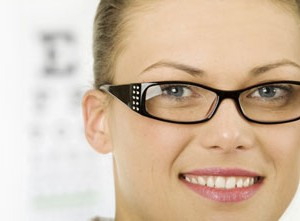 Work colleagues or employers may simply not understand the need for frequent eye examinations and check-ups. Keratoconics can be a challenge because if they are OK with contact lenses, then they are “normal” but if they have problems where they cannot wear their contacts, they suddenly become partially sighted for a period of time. Employers often find this hard to understand. You can request a letter from your eye care professional to explain your specific issues and the keratoconic self help groups can often be a rich source of information and support in this respect. Many countries have disability legislation that covers the workplace. This includes advice about dealing with employees who may have problems with vision.